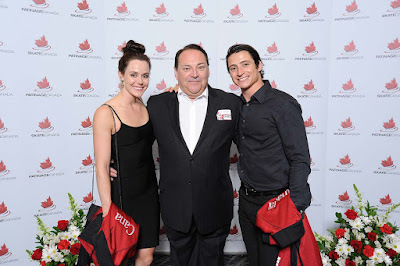 On September 1st, 2016, Skate Canada Fund donors and guests attended a fun evening at the first annual Breaking The Ice event. 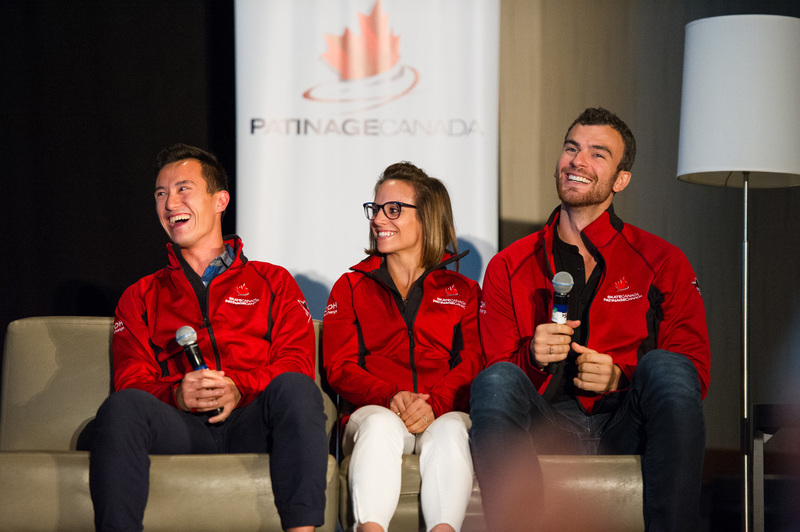 This exclusive event was held in Toronto with Canada’s national team to kick off 2016-17 skating season. The event provided the opportunity for select donors to meet and mingle with the nation’s premier skaters. 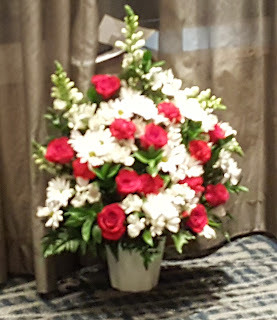 As the Official Florist of Skate Canada, Bloomex was delighted to provide beautiful red and white floral arrangements to boost the ambiance at this special event. The Toronto team had fun creating dinner centrepieces and floral bouquets to decorate the photo area, the stage and registration desk. The night kicked off with a special reception where donors and guests met national team members, posed for photos and discussed the upcoming season. The evening continued with “As the Blade Turns”, an entertaining talk show where national team athletes interacted with skating commentator and journalist P.J. Kwong and Paul Dore, the son of former Canadian and international skating pioneer David Dore. Skate Canada would like to thank the Canadian Olympic Committee, along with the evening’s silent auction donors: Hillberg & Berk; Flat Rock Winery; Golf Ontario; PJ Kwong; Oliver and Bonacini Restaurants; Artistry; and Bloomex. Click for more information on the Breaking the Ice event. 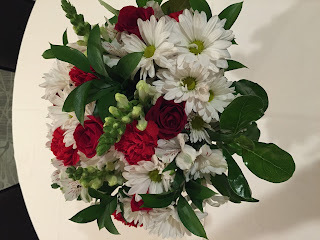 Bloomex is looking forward to providing flowers, gift baskets and teddy bears for another exciting skating season this year! We are currently preparing the medallist bouquets for the Autumn Classic International coming soon...so Stay Tuned!